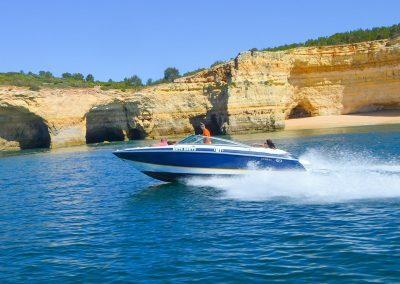 For those more adventurous, this private speed boat hire cruise offers the perfect selection of adrenaline! 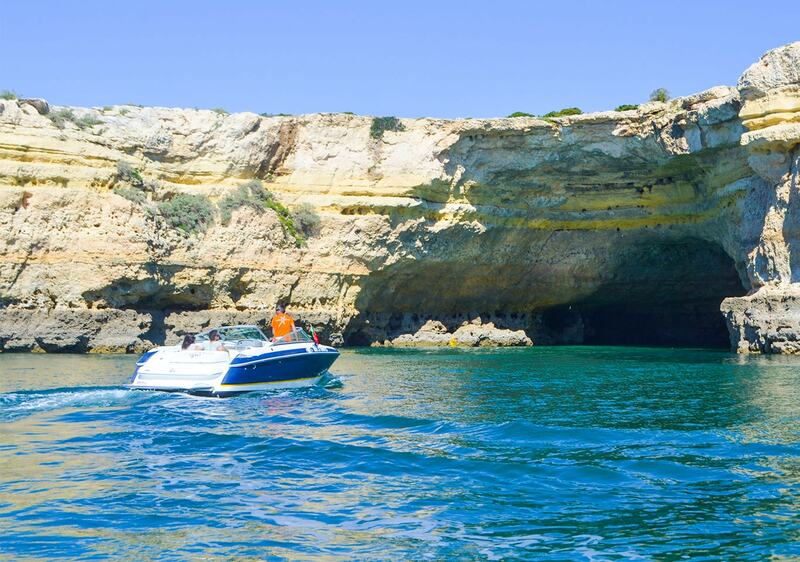 With Water Skis, Inflatables, Parasailing and much more! 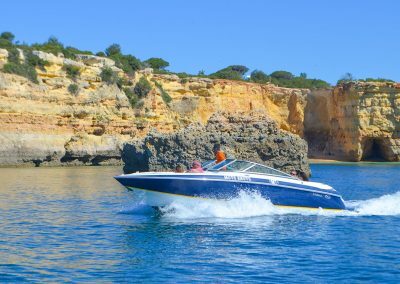 Our Muts Knuts is an attractive and versatile private speed boat hire that offers an impressive top speed for anyone looking for a speed boat ride! 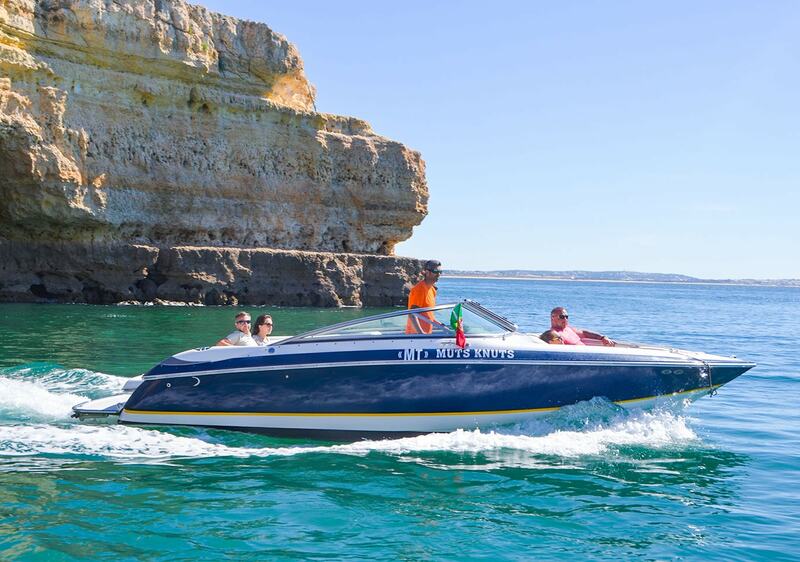 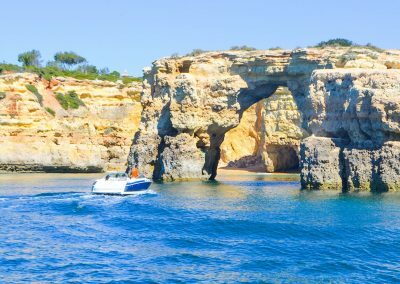 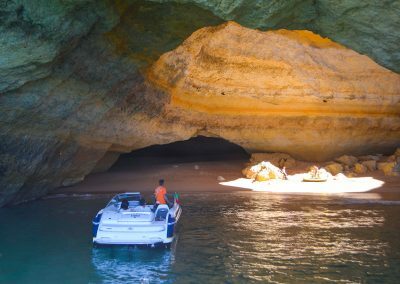 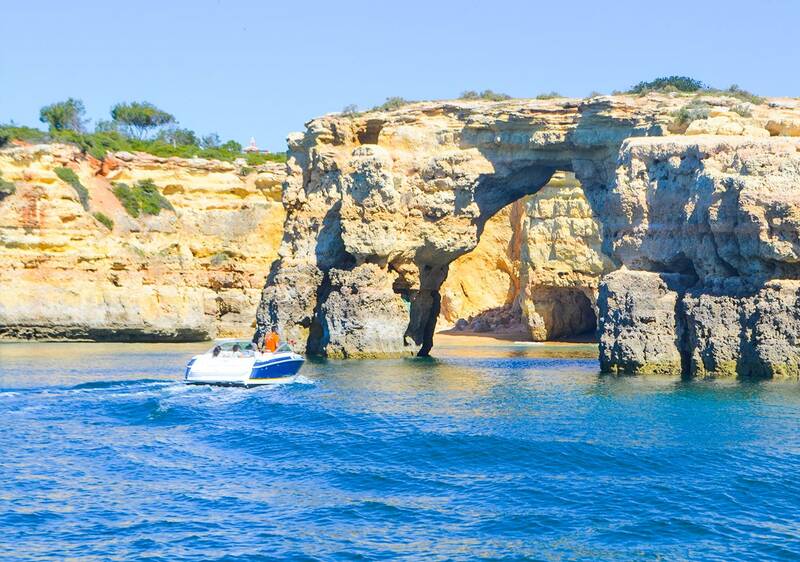 Join us on board this beautiful Cobalt 240 Bowrider and fearless speed boat charter and enjoy this boat cruise across the Atlantic waters overlooking the Algarve Coastline. Hire this speed boat by the hour and we guarantee you will have an amazing experience! With a great sense of fun and adventure, take advantage of this speed boat charter and explore some of our most adventurous activities like wakeboarding, water ski, inflatables, among many other watersports!